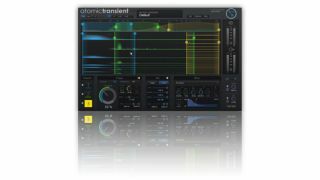 Molecular Bytes is promising a world first with its forthcoming AtomicTransient plugin, which it's calling a polyphonic transient tool. The theory is that, unlike other transient processors, AtomicTransient will be able to detect individual notes in polyphonic material such as guitar and piano recordings and even complete mixes. You'll then be able to make edits using "filter effects, common dynamics or a revolutionary new ADSR-overwrite". Full details are still be to be released, but Molecular Bytes suggests various applications for AtomicTransient. These include adding sustain to a snare or removing specific drums in a mix, adding groove to a complete mix by changing the envelope of the bass, snare or hi-hat individually, or extending the sustain of each note in a piano sequence. We'll bring you more details as and when they appear. You can check out the announcement on the Molecular Bytes website.